Watchdog organization China Labor Watch has accused Apple supplier Jabil Circuit of committing labor violations at a Chinese factory that is allegedly producing the "iPhone 5C." In a new report published on Thursday, China Labor Watch revealed "a series of ethical and legal labor violations in a factory in Wuxi, China." According to the organization, that factory is owned by Florida-based Jabil Circuit. China Labor Watch claims that workers at the factory are owed "millions of dollars in unpaid overtime wages." It was also said that employees have over 100 hours of monthly mandatory overtime  three times the legal limit. Workers at the factory are also said to see more than 11 hours of standing work every day, with no rest outside of 30-minute meal breaks. Finally, China Labor Watch also accused the factory of inadequate training and hiring discrimination. "Despite half a decade of outside investigations and self-reporting on myriad labor abuse throughout its Chinese supply chain, Apple has continually failed to compel supplier factories to conform to Apple's code of conduct and local labor laws before giving these suppliers Apple production orders." Jabil, which is based in St. Petersburg, Fla., has previously been identified as a U.S.-based Apple supplier. Criticism of Apple's China-based supplier factories is not new, but has traditionally been focused on companies like Foxconn and Pegatron, not Jabil. 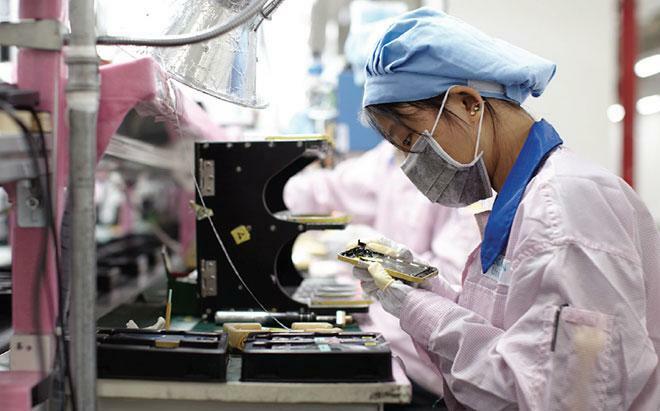 China Labor Watch has publicly called out Apple before for alleged labor violations. One report from the organization published in July prompted a response from Apple, as the company vowed to investigate the reports.